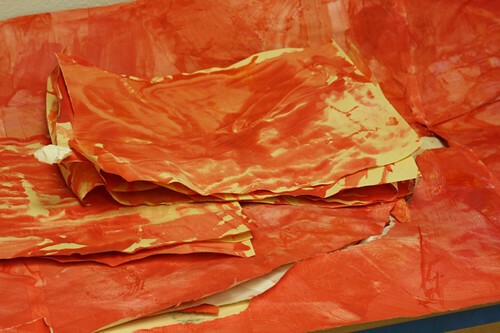 in anticipation of christmas projects, i wanted some painted paper that looks like fire. 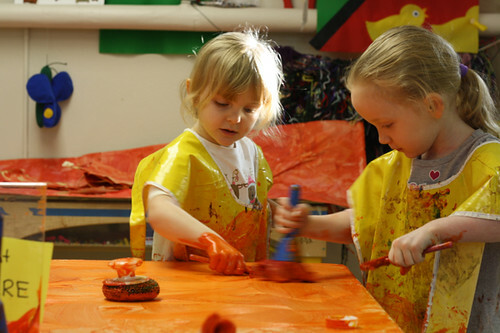 since it was k week, we started with red paint (in a ketchup bottle). this is almost as funny as this. 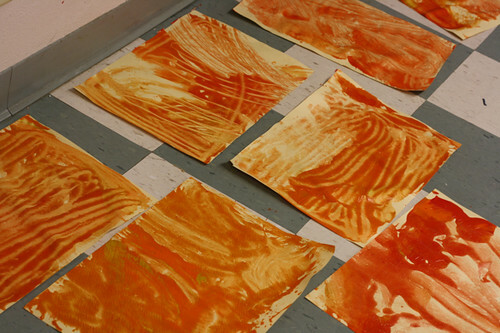 we added a new color each day: red, yellow, orange. 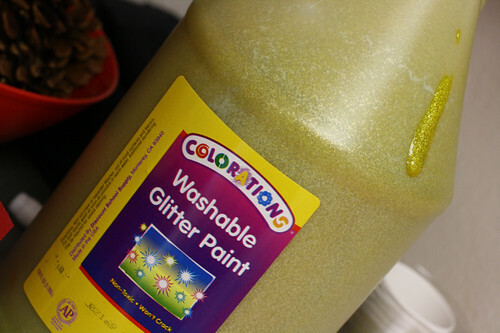 the yellow was glitter paint! 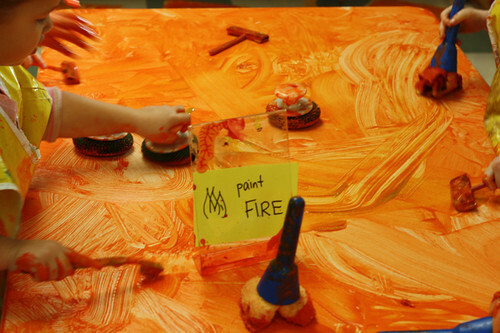 the first day we painted paper taped to the table. 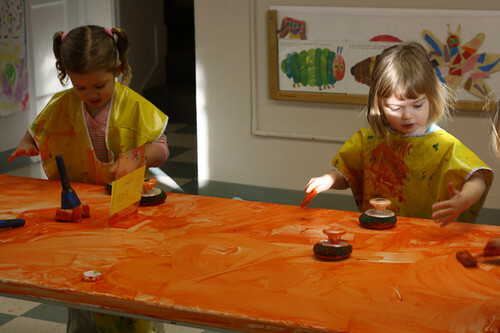 since i had to clean the table anyway, we switched to painting the actual table and making prints of their work. 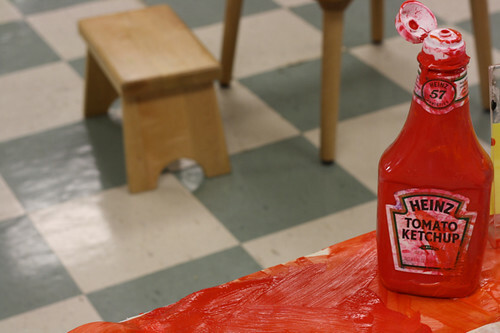 I had never thought of putting paint in a ketchup bottle – that is such a cute and fun idea. 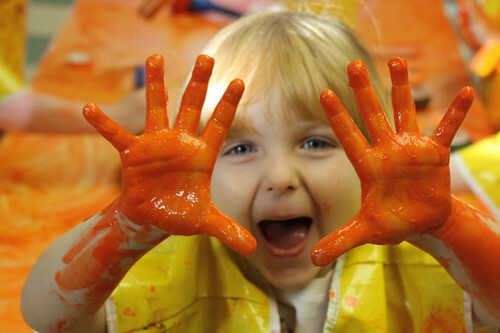 What a fabulous mess everyone has made – Awesome!